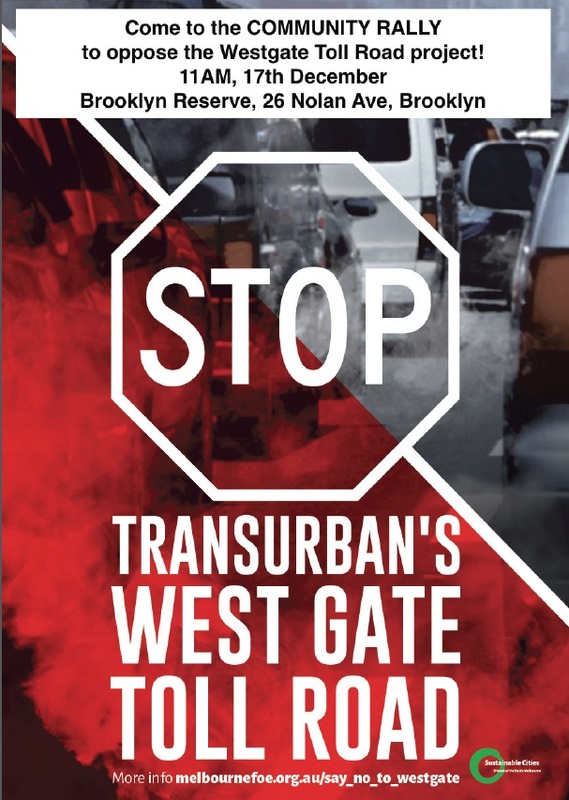 Please share to your profile, page or group – Say NO to West Gate Tunnel – rally for a sustainable Melbourne – come along and show solidary for Melbourne’s west residents, as with Transurbans plans, the rest of us are under renewed threats from inappropriate road projects right across Melbourne! People are gathering to send a signal to the government that this type of infrastructure and the way they have planned it with Transurban is not the way to plan for a sustainable Melbourne. The same government has plans for more mega roads. Its time to stop and think before it is too late.